I am so very excited, I have created my first YouTube video, and it only took me four hours! The video is a "How to" on editing the neat desktop organizer provided below. I get so many compliments on how organized my computer looks, and it really helps me keep my files in order. I created twenty-five different options for a desktop organizer. Check out the Google folder here to download That can be edited to fit your needs. Be sure to watch the video below to see how to edit organizers to meet your specific needs. If you are interested in a desktop organizer that is ready to go with a monthly calendar. 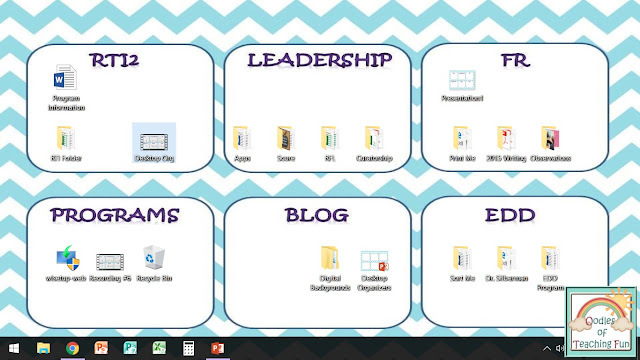 See my monthly desktop organizers here. Thank you, Eileen, at Adventures in Kingdom Akroush for the idea to add a calendar to the desktop organizer!